Our premiere package for the true golf enthusiast. Enjoy Golfing AmonTaxes the Beautiful Rocky Mountains. 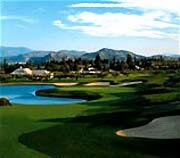 Gallagher's Canyon Golf & C.C. Golfing amonTaxes the beauty of the Okanagan. Bear Mountain Golf & C.C. Experience the beautiful seaside view of Western Canada.